About Me: Fearless in the Kitchen! Home » Let Me Help You Be Fearless in the Kitchen! Let Me Help You Be Fearless in the Kitchen! I get it. You’re busy. You may think you’re too busy to cook and bake from scratch several times a week, but I promise if you learn some basic techniques and cooking and baking methods, you’ll be able to get dinners (and desserts) on the table and still have time to hang out with your husband for awhile. Or catch up on some Netflix! I’m here to help you be fearless in the kitchen to get you back out of the kitchen and with your family. I’m here to help, so please feel free to email me! I’ve been watching cooking and baking shows for decades. 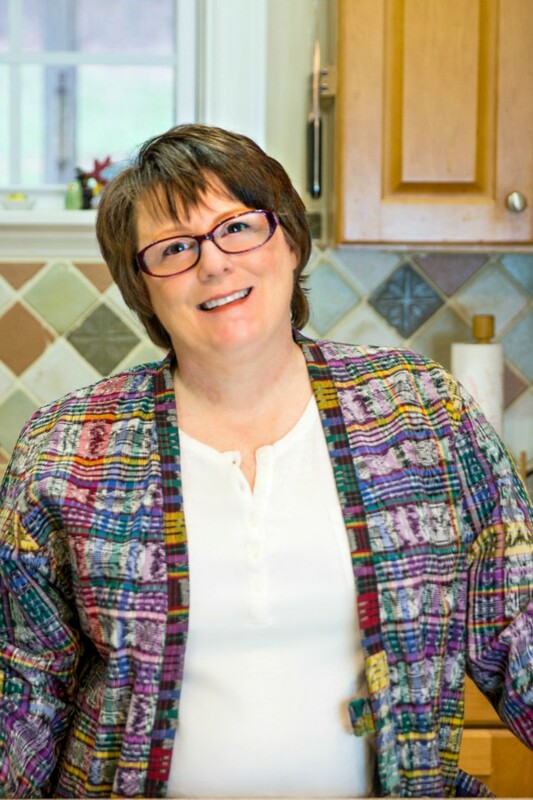 I loved seeing chefs like Julia Child, Jacques Pepin, Justin Wilson, Sarah Moulton, Ming Tsai, Nathalie DuPree and more bend ingredients to their will. Despite watching these shows and buying cookbooks, I still didn’t really know how to cook. I never felt confident in the kitchen, and certainly not without a recipe clutched in my fist. I was that person who would get a recipe, go to the store and purchase every single thing on the ingredient list without a)really knowing what I was doing or b)ever needing some of those ingredients ever again. I can remember checking off each ingredient as I bought it. A whole bottle of red wine vinegar when I only needed a tablespoon (and I already had apple cider vinegar at home). A 1/2 oz jar of a spice I’d never heard of, had no idea how it would add to the recipe, and no plans for using more than the 1 teaspoon called for in my recipe. Mixing up heavy cream with cream cheese to approximate creme fraiche (yes, I did this on recommendation of a dude at the grocery store) even though I had sour cream in my fridge. I’ve made a huge pot of spaghetti sauce, tasted it, added some herbs, tasted it again, added some other random ingredients, and tasted it again. I knew it didn’t taste how I wanted it to, but I had no idea where to begin to fix it. I’ve spent hours–hours!–making a huge cake from a recipe in a fancy cookbook without understanding the components I was making and how they behaved. As a result, I messed up my ganache and had no idea how to fix it, if it was fixable, or how the mistake could affect the end results. Little by little, through Friday night experimentation, voracious reading of cookbooks like they were textbooks, and watching all the cooking shows–all of them!–I began to see patterns in the recipes I was following. Cream butter until smooth. Add sugar and cream until light and fluffy. Cook onion, carrot, and celery in butter until softened. Whisk dry ingredients together. Whisk wet ingredients together. Pour wet into dry and stir until just mixed. Certain techniques are almost universal to cooking (or baking) and can be applied no matter the name of the recipe or the specific ingredient list. Recipes are nothing more than a list of ingredients with a list of methods and techniques for how to combine those ingredients into something delicious. Not all at once, but since I came to these realizations, I have focused less on specific recipes and more on learning how ingredients behave and how to combine them to get my desired results. This has allowed me to be more creative and less fearful in the kitchen. And these days, I consider myself fearless in the kitchen. I do not want you to have to spend decades learning how to be fearless. 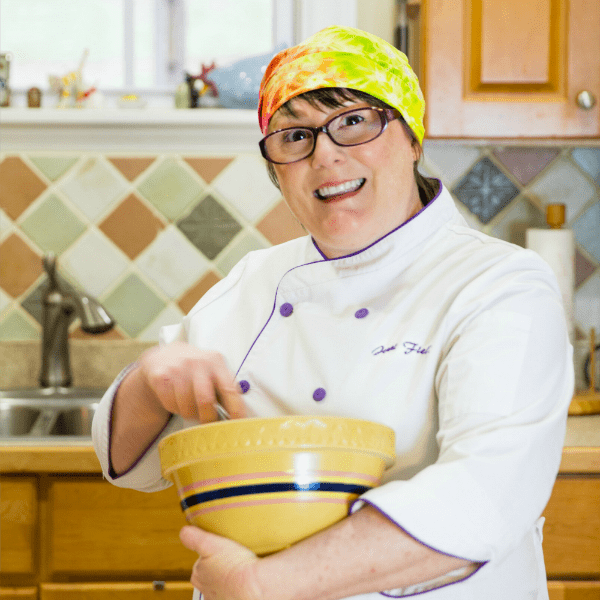 I want to share what I’ve learned on my journey to fearlessness so you can bypass all the worry and paralysis and just get in the kitchen to cook and bake for and with your family. I offer plenty of recipes on this site, but these are the most important takeaways you can get from Pastry Chef Online, the skills and knowledge that will help you be fearless in the kitchen! knowing how ingredients function alone and in combination. And please know that, while I attended culinary school for baking and pastry and have worked in fine dining restaurants, I learned about ingredient function, cooking and baking methods and techniques and understanding what recipes really are outside the culinary classroom, mainly through reading and experimenting. Just going to culinary school won’t make you fearless. Honest. How to Be Fearless in the Kitchen! I really am here to help you. Feel free to email me with questions right down there. See? You can also find me all over social media. Currently, I’m on facebook, twitter, instagram, Pinterest, Google+ and YouTube. I also have a bit of a thing for cats. That’s Cartoon Lester up there with Cartoon me. My husband, The Beloved, and I foster through Johnston County Animal Protection League here in North Carolina. We almost always have a foster or three running around as well as our own motley crew of seven. Please let me help you teach you the skills you need to be fearless in the kitchen! I’d be honored to be of help! 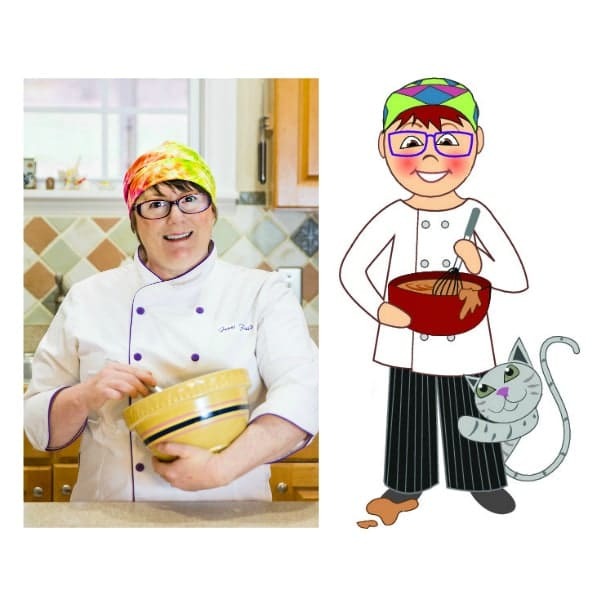 Love my site design and “Cartoon Me and Lester?” Hire Charissa!